An in-depth roundup and guide to the best sleeping headphones, noise-cancelling earplugs and wireless earbuds for sleep and relaxation. 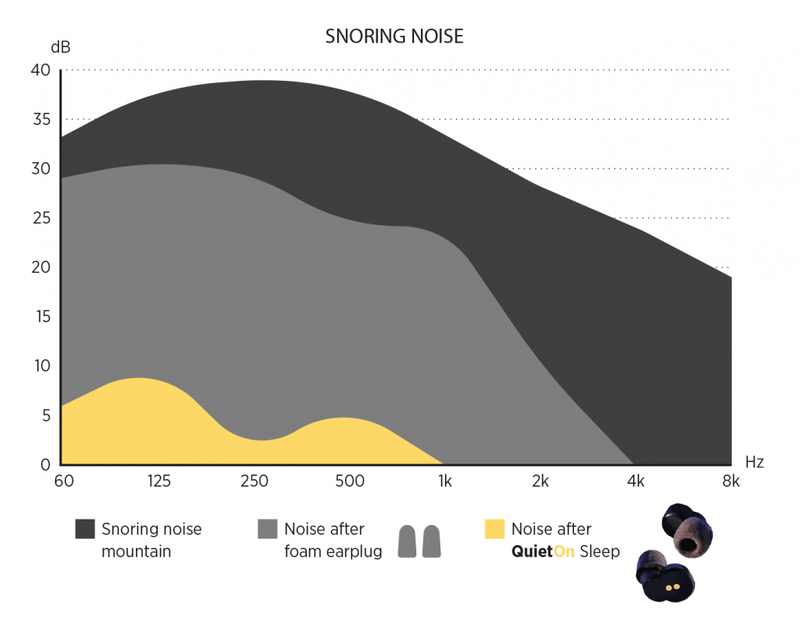 Lots of people find it hard to sleep in a noisy bedroom. Headphones are a popular solution for many to block out or mask disruptive noises – a snoring partner, neighbors, traffic, a barking dog. Some people like to soothe their anxious mind before bedtime by listening to calming ambient music, white noise, nature sounds or ASMR soundscapes, helping them to relax before falling asleep. There are many different options to consider when choosing sleeping headphones to choose depending on factors such as comfort, sound quality and price. Costs range from as little as $20 up to over $400, so there are options for every price range. When making a purchase decision first you need to choose whether you prefer earbuds (in-ear) over the ear phones (on-ear), or for maximum comfort, headband style headphones. Next you should choose whether you need wired or wireless (Bluetooth) headphones. If you’re spending above $100 you might consider advanced features such as active noise cancelling, built-in noise-masking sounds, and even EEG sleep tracking. Our guide looks at all the various styles and functions of headphones, as well as insider buying tips for the best headphones for sleeping in 2019. Our choices are based on years of experience in reviewing the best sleep products on our sister site Sleep Junkies as well as extensive product research and third-party customer reviews. 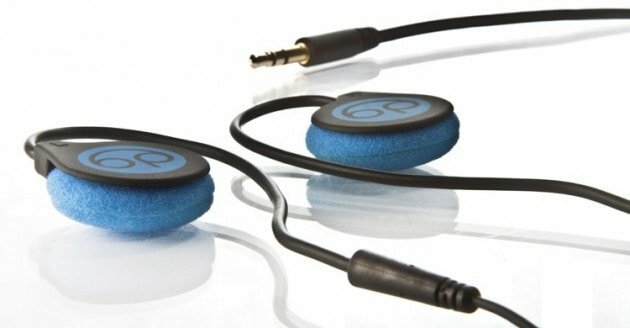 Bedphones are soft foam-covered super-thin sleeping earphones with a patented on-ear design that allows the earphones to lie flat on the ear. The low-profile design means Bedphones are more comfortable than other on-ear designs, especially for side-sleeping, making them a practical alternative for people who don’t like wearing earbuds. 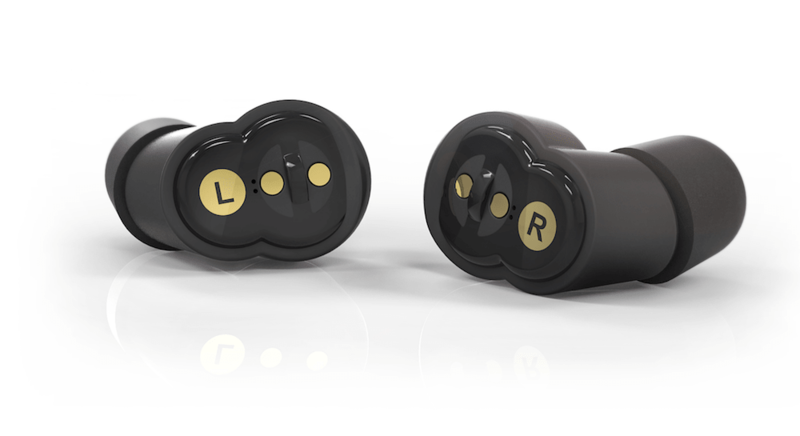 The earphones are held in place by rubber earhooks with an over -ear design. This means you can wear the cable down your back at night whilst you’re asleep to minimize the chances of tangling. The secure design means Bedphones are also suitable for sports use and for travel and include an in-line remote for adjusting music tracks and call handling. DubLabs BedPhones come in 3 different versions. BedPhones Wired ( Gen 3.5) – the classic version with rubber-coated memory wire for an infinitely adjustable for a custom fit. 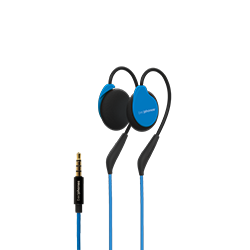 If you like the Bedphones, then you should also check out the Panasonic RP-HS46E-K Slim Clip-on Earphones. This pair of earphones from quality brand Panasonic feature an ultra-slim form factor that suits those people who don’t like the idea of putting earbuds inside their ears. SleepPhones are the original headband style sleeping headphones. The AcousticSheep SleepPhones Classic features a patented headband design, made of a lightweight, breathable, hypoallergenic fabric that’s suitable for wearing all night long. The design has proved popular, garnering nearly 2500 reviews on Amazon. The earphones themselves are a pair of ultra-thin removable speakers which conveniently slot into the headband. 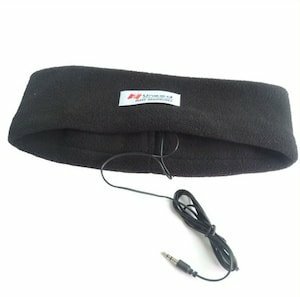 Perfect for side sleepers, the headband is soft and padded so that the speakers never intrude on your comfort at night. There are several different ways to wear the SleepPhones. The standard way is with the wire in the back. Alternatively, if you prefer you can trail the wire at the front of your head if you’re afraid it might get tangled. Finally, the SleepPhones can also double up as a sleep mask by pulling the headband over your eyes. If you really don’t like the idea of wires trailing in your bed at night, SleepPhones have it covered because they also offer a Bluetooth version of the SleepPhones that’s completely wire-free. 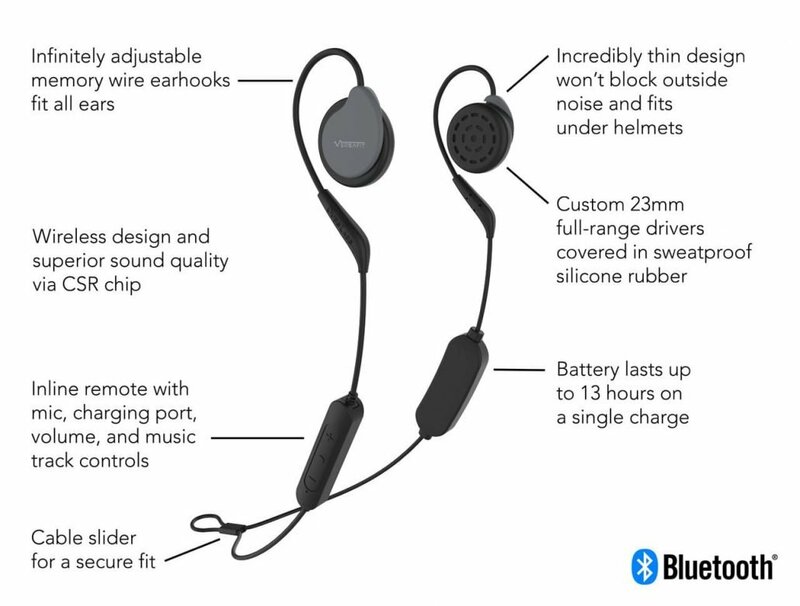 The SleepPhones SB5BM Wireless Bluetooth Headphones can connect to any Bluetooth enable device such as your phone, latop or iPad. SleepPhones come in three different sizes and a range of different colors to suit everyone. CozyPhones are another well known brand in the sleep headphones market. A family run firm, CozyPhones started with a single product and now makes a range of headphones for sleeping, running and for kids. 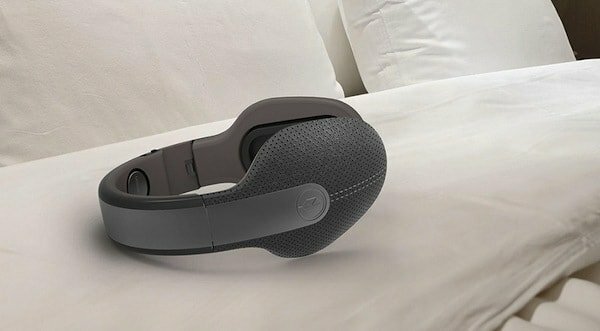 CozyPhones features a similar headband design to SleepPhones, with a pair of thin cushioned speakers embedded in a lightweight fabric. CozyPhones however are made of a Lycra instead of fleece so they’re less likely to trouble you if you’re a ‘hot sleeper’. Inside the headband there’s a mesh lining to house the speakers. There’s also 1.5 meter braided anti-tangle cable, an included travel bag and a choice and of blue, black or white colors. Sadly there’s no wireless option at the moment, but then the price difference between CozyPhones vsSleepPhones is considerably less. 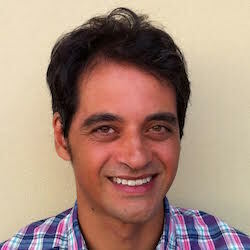 QuietOn started life on IndieGogo in 2016, when a team of ex-Nokia engineers raised $1.3 million for their first generation of innovative noise cancelling wireless headphones. 2 years on the company has announced QuietOn Sleep, a miniaturised version of the original earbuds, but optimized for sleeping comfort and to block out noises like snoring, your neighbor’s loud music, or the rumble of traffic. The first thing you should know is that QuietOn Sleep earbuds are not meant for playing back music. Instead QuietOn Sleep has been designed with one purpose in mind – to offer the ultimate noise-cancelling experience for sleeping. Up until now, even the best noise cancelling headphones (including models made by Bose) were better suited at blocking high-frequency noises than the low-pitched sounds like snoring, the hum of an airplane cabin, or a loud party going on next door. But after analyising hundreds of audio samples , the engineers at QuietOn create a unique noise cancelling profile designed specifically to tackle sounds below 500Hz. Other features include a carry case that doubles as a portable charger to enable a battery life of up to 20 hours and a special ‘listening mode’ that lets you temporarily de-activated the noise-cancelling function just by tapping the earbud. It’s fair to say Bose have been at the forefront of noise-cancelling technology for a long-time. Nobody has yet come close to challenging their noise-cancelling headphones in terms of the amount of sound they can effectively block out. It’s not surprising when you consider that for decades, Bose has been an industry leader in making aviation headsets for pilots who have to spend hours in noisy airplane cockpits. So if you’re experiencing noise problems at night that are keeping you awake, such as a snoring partner, traffic or inconsiderate neighbours, you might want to check out the Bose QuietComfort 20 Acoustic Noise Cancelling Headphones. The QuietComfort 20’s (QC20) are an in-ear design, with custom designed StayHear+ ear tips and Bose’s famous active noise-cancelling technology. Whilst not as ergonomic for sleeping as a headband design, the earbuds are designed to fit snugly in ear and unless our are suitable even for side sleeping. Also you won’t have any problems with overheatingThe earbud tips are made of a soft silicone and there are 3 sizes included to get an ideal fit. Tests have repeatedly shown that the QC20’s are consistent top performers when it comes to noise-cancelling headphones, reducing noise levels by up to 45bd in some frequencies (that’s the difference between inside an airplane and a library!). The noise reduction works in a three-fold manner. First, the tight fit of the earbud seals your ear canal from external physical sounds, resulting in passive noise reduction. Next, you have the magic bit of the equation, the active noise-cancelling technology. (If you’ve ever worn a pair of Bose QC headphones, you’ll know why I describe it as magic!) Finally, you have the last noise-blocking element, which is when you play some actual music through the earphones. Combining these three processes, the Quiet Comfort 20’s are the most effective pair of earphones you can buy way to block out noise in your bedroom whilst you sleep. The QC20’s are a premium product at a premium price, but you get what you pay for. OK, so we know the Bose QC20’s are great. That’s not in dispute. But for a lot of people, paying over $200 for a pair of earphones is just not possible. So that’s why we’ve included a cheaper alternative, the TaoTronics Active Noise Cancelling Earphones which are currently on sale at Amazon for only $35, (or $45 for the newer model). The earphones offer active noise cancelling, 15 hours of continuous audio, machined aluminium construction and an inline remote. 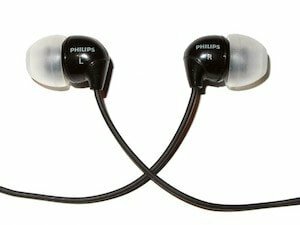 Now admittedly, there’s no way these can match their Bose counterparts in terms of fidelity and ANC, however, currently these earphones have over 600+ reviews and a 4.5 star rating with the vast majority of people giving a positive review. So, if you’re looking for active noise cancelling, but want to save yourself around $150 compared to buying a pair of QC20’s then it’s definitely worth checking out the Taotronic alternatives. If you don’t mind wearing earbuds, at less than $15, the the MaxRock soft silicon sleep earphones are one of the best budget options for sleep headphones. Being made of silicon, instead of plastic, they are soft to wear and compared to many earbud designs have an extremely low profile so they don’t end up digging into your ear canal when your ear is facing the pillow. The double layer earbud design effectively blocks your ears from external noise providing passive noise cancellation. Our second recommendation from Bose are the Bose SleepBuds. Having acquired San Diego startup Hush, Bose has combined its unsurpassed engineering excellence with Hush’s miniaturisation innovation to create its first ever pair of wireless smart sleep earbuds designed exclusively to help improve your sleep. Unlike the QC30s, the Bose Sleepbuds are designed as a sleep aid first. This means you won’t be able to use them to play music, as they don’t feature Bluetooth music streaming – and is one of the reason that the SleepBuds will give you a much longer battery life than most wireless earbuds. The Sleepbuds use noise-masking technology, as opposed to the active noise cancellation used in their noise-cancelling counterparts the Bose QuietControl QC30 earphones. 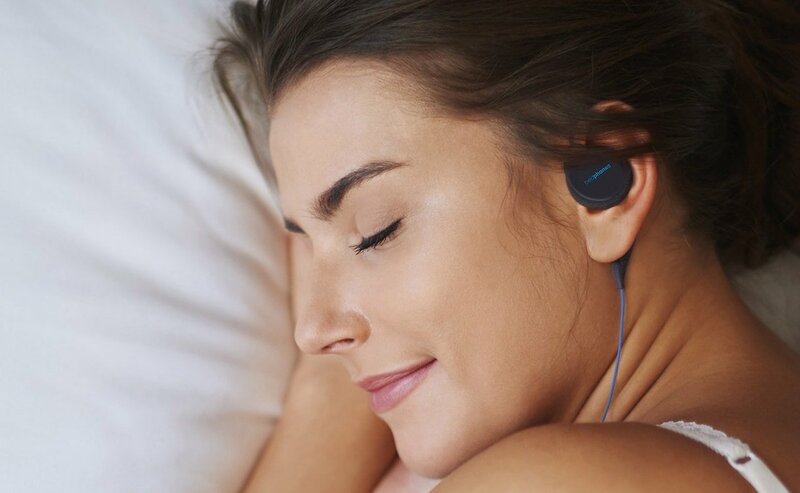 Instead, these wireless sleep buds, utilizing an improved version of the Hush’s technology, contain 10 pre-loaded soothing sounds, stored on the internal flash memory. These sounds replace to mask and block out environmental noise that keeps you awake at night, such as busy traffic, noisy neighbors or a partner who snores. The expertly engineered masking sounds are aided by passively attenuating ear-tips which help as a physical barrier to block out unwanted sounds in your bedroom. A rechargeable zinc-iron micro-battery holds enough charge to last for two days. In addition the included carry case also provides on additional full charge when unplugged from the mains, helpful for when you’re travelling or on overnight trips. 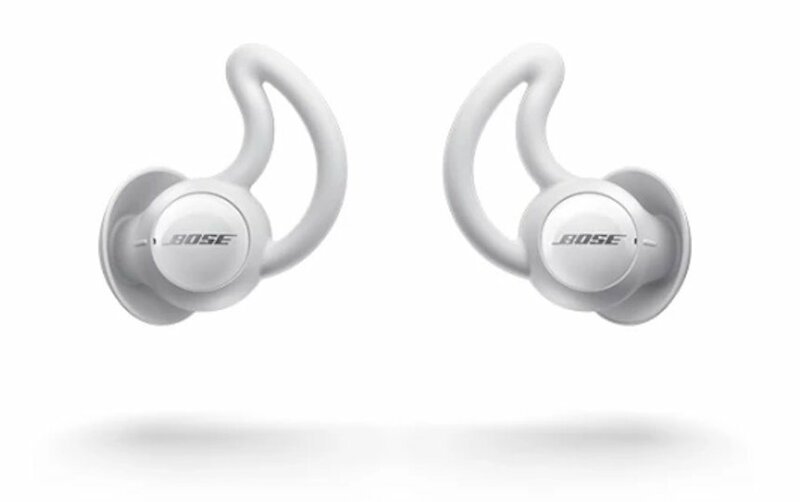 The Bose Ear Buds are designed to work with the accompanying Bose Sleep App, which features a smart alarm function you can use without waking up your partner. Available for pre-order right now for $299, Kokoon is the world’s first sleep sensing headphone with Raising over $2 million on Kickstarter, Kokoon is a pair of hi-tech headphones that feature built-in EEG (electroencephalogram) sensors that can track and measure your brainwaves as you sleep. Kokoon packs plenty of other features too including active noise cancellation, intelligent white noise which adapts to your environment, Bluetooth 4.0, accelerometry movement sensors and microphones to detect noise disturbances. Despite being a full size headphone, Kokoon is designed very much with sleep and comfort in mind. The headphones features ‘FlexMould’ technology which adapts to the shape of your head. The headphones are also ventilated to allow your head to breathe at night. An ‘advanced’ seal ensures that sound is blocked from the outside world, so you get the triple whammy of passive and active noise cancellation, plus the benefits of the active white noise system. Any audio buff will tell you that over the ear headphones will generally give you the highest quality, most ‘open’ sound, but finding a pair to wear in bed can be tricky. Over the ear headphones are ideal for people who sleep on their backs and to a lesser extent side sleepers. So if you can’t bear the thought of a pair of earbuds sticking in their ear canal all night, on-ear headphones might be the only option. Comfort is a top consideration so you need to look for a pair that either have a thin profile, such as Dubslabs’ Bedphones, which are available in wired or wireless models. In-ear phones will give you the best sound isolation and hence good sound quality, but you need to ensure a perfect fit, especially when you consider you’ll be tossing and turning throughout the night. Apart from ensuring a good fit, you have to consider your sleeping position. If you’re primarily a side sleeper, you might find that certain in-ear phones end up digging into your ear during the night – not a pleasant experience at all. One other consideration to bear in mind with in-ear headphones is hygiene. If you’re wearing your earphones for hours every night then there’s a good chance it will end up increasing the levels of bacteria in your ears. So bear this in mind if you don’t want to end up with an ear infection. These designs offer the ultimate comfort when it comes to choosing headphones for sleeping and they are excellent choices if you’re a die-hard side-sleeper or like listening to ASMR sleep sounds as you drift off. However with some models this comes with a slight compromise in sound quality compared to other types of design as the speakers might shift position in the headband during the night. Another consideration with headband designs is the choice of material. If you sweat a lot at night, you’ll probably want to avoid a fleece-type fabric and instead go for a lighter type material such as one of the Lycra options available. Cables. Don’t you just hate them? Luckily, these days there are many options to choose from either wire-free or traditional headphones with a 3.5mm attached cable. If you want to go for the wireless option, one of the biggest considerations in your choice of sleeping headphones is battery life. Modern Bluetooth headphones are getting better every day but you need to find out how many hours of music playback your headphones will give you in wireless mode. If wires don’t really bother you, should still take into consideration the safety risks of sleeping with a wire strapped around your head. If you’re a restless sleeper, you don’t want to find yourself choked in the middle of the night because your headphone cord has been wrapped around your neck several times. Noise cancelling sleep headphones?If you need to block out noise at night, such as your partner’s snoring, then you’ll want to consider a pair of noise cancelling sleeping headphones. There are two types of noise cancelling – passive and active. Passive noise cancelling is actually just another term for physically blocking out noise from reaching your ears – for instance sticking your fingers in your ears. Thankfully headphone technology offers a lot more sophistication than this approach, and many passive noise cancellation headphones are specially designed to form a perfect block between the noisy environment and your ear canal. Active noise cancellation (ANC) on the other hand requires dedicated electronics and signal processing. This technique uses a microphone to monitor the sound in your bedroom, and feeds a ‘mirror image’ audio signal into your headphones which has the net effect of cancelling out any environmental noise – be it the drone of traffic, or your snoring partner. Bear in mind that ANC is not 100% effective, even with the most high-end headphones, but combined with passive noise blocking and music playing in the background it can still make a huge difference in reducing noise levels. So, enough of an introduction, here are our recommendations for the best headphones for sleeping, divided into separate categories depending on whether you want to pick headphones based on comfort, price, noise cancellation, versatility, or smart features. We hoped you enjoyed our roundup of the best sleeping headphones in 2019. One thing’s for sure, if you like to drift off to sleep with a relaxing soundscape in your ears, there’s plenty of options as to how you go about it. We’ll keep this page updated with the latest sleep phones, so be sure to bookmark us or get in touch if you have any questions.